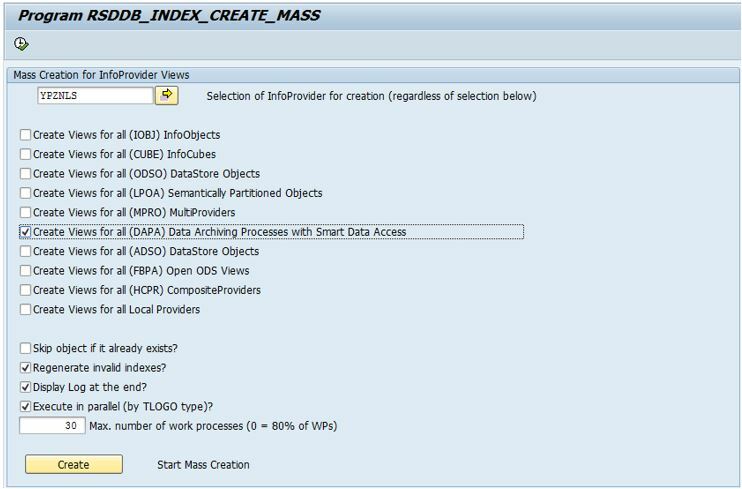 With the Introduction of smart data access (SDA) especially between SAP HANA and IQ, the data provisioning process can be optimized. Never the less, some additional Parameters have to be introduced on the ABAP and HANA Backend as well. SAP First Guidance – SAP-NLS Solution with SAP IQ This would be a mandatory task first. -iqtss: Specifies the stack size, in KB, for server execution threads running either in the background or as part of a thread team assisting the main server connection thread. The default value is 512KB on 64-bit platforms. However, some very complex queries may return an error indicating that the depth of the stack exceeded this limit, so you may need increase this value to 2048. -iqmc: Specifies main buffer cache size in MB, you may set this value to 8192. 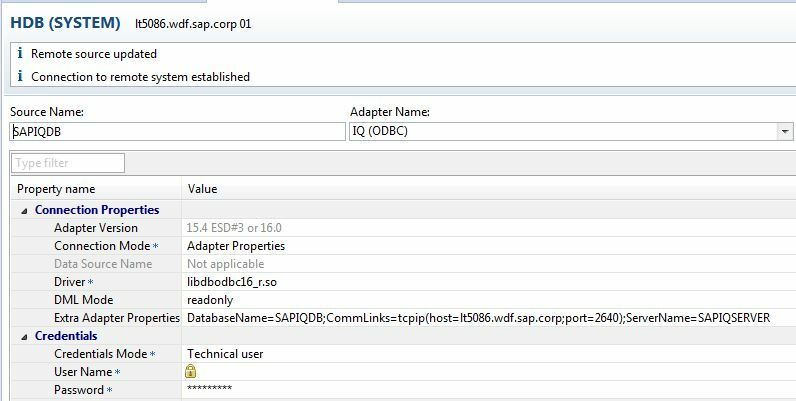 Please note that especially selections on navigational attributes are considered with the automatic usage of semi-joins or joint relocation’s for the execution of queries based on SDA together with HANA and IQ. can be used to create database statistics for HANA Virtual Tables. HANA Virtual Tables are used in the context of HANA Smart Data Access. The execution time can be quite time consuming. As of HANA SP10, a new statistics type RECORD COUNT is available for virtual tables via a system view named SYS.DATA_STATISTICS. This View offers for Example CREATE_TIME und LAST_REFRESH_TIME as columns. HANA SYS.DATA_STATISTICS system view provides db staticstis for virtual tables. HANA SYS.M_JOIN_DATA_STATISTICS system view provides engine join db statistics. Modify connection into IQ by adding SIQ_BULK_OP=1 to the connection information. 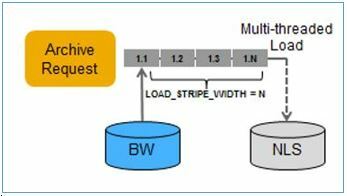 With these SAP Notes two additional parameters were introduced to significantly increase the LOAD statement for writing data into SAP-NLS. Parameter LOAD_STRIPE_SIZE setting this parameter to a value n > 1 parallelizes the load. 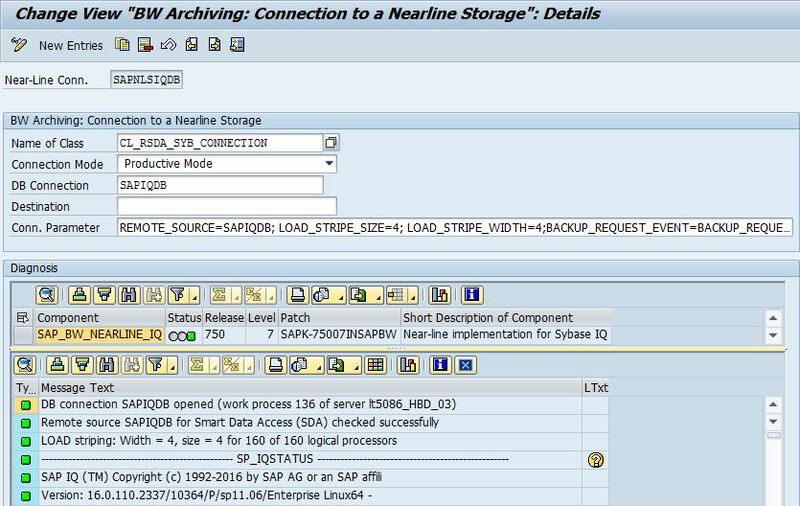 Parameter SYBASE_IQ_LOAD_DIR could be changed at the database connection level (DBCO) and is by default the data directory of the SAP Instance. If you plan to load a large amount of data, please make sure that you have enough space left, or specify another directory/device. It is suitable to change the settings for the affected Dimension tables to a more optimized setting. This can be done via the “Provider-Specific” settings for the Dimensions within the InfoCube. By default these options are empty, which means the default settings of the individual InfoObjects for query definition and execution are take place. Furthermore any reorganization of the dimension tables e.g. via transaction RSRV should be avoided, due to no benefit at all for the application rather to corrupt the F4 access to the SAP-NLS solution and this will result in wrong F4 values and much less performance. As an example see the following screens for an optimized setting. For further information, please consult the help.sap.com pages. Queries on InfoCubes show poor performance since filter conditions are pushed as “SID-based” filters to the HANA database instead of using the “key-values” for filtering. With “SID-based” filters, the SID-table needs to be joined to the Virtual Table in order to execute the filter. This join adds complexity to the SQL-Statement which makes it more difficult to optimize the query in a federated database environment. This note adds a checkbox to the “Near-line Storage” tab of the Data Archiving Process (DAP) maintenance to switch query optimization on (this is the default) or off. You must activate the DAP in order to make your setting effective. 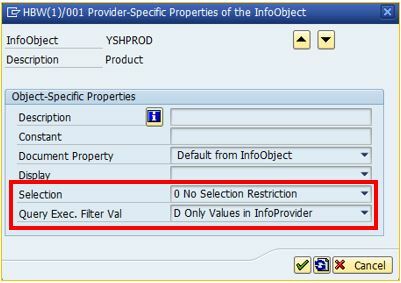 If optimization is switched on, but query optimization is not configured or not available for the Near-line Connection query access will use the non-optimized implementation via the Virtual Provider interface utilizing the Near-line Provider implementation via the standard Near-line Interface. In case Smart Data Access is configured for the Near-line Connection also the name of the HANA Virtual Table is shown. That s an excellent document. I suppose it will be reviewed regularly to add/modify notes correction. There is two different name for LOAD_STRIPE_WIDTH. I suppose that one is the correct one. Also, would it be possible to have performance optimization with and without HANA. in other words, which recommendations we can used on a BW system for NLS while we dont use HANA. Without using HANA all recommendations for SDA cannot be applied. The ABAP setting can be applied also and the parallelisation for the data relocation is DB independent. Can you please update on NLS compatibility with BI reports built on Universe. I am looking for option to enable NLS data usage in BO Universe reports. archived data thru BO Universe webi reports. I doubt to have BI reports build on Universes can access the NLS data rather use native SQL. See the graphic provided with 7.40 SP08 and higher. is there a possibility to see if the database statistics for SDA virtual tables are created and up to date? I have in mind a functionality comparable to BW on NON-HANA database cube administration where I have a traffic light that displays green if up to date or red if no statistic exists. if this is your answer to my question from the 5th of March I have to say this is not the answer I expected. 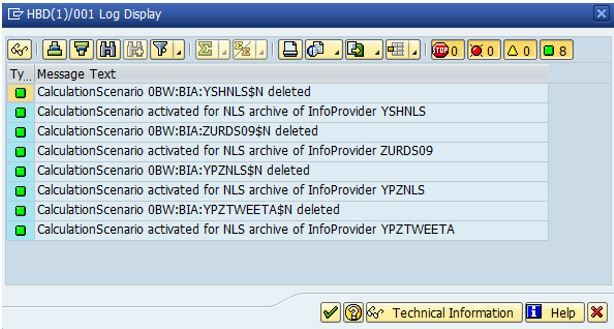 We are using BW 7.40 on HANA in combination with NLS IQ and SDA. As described above I have to run report RSSDA_CREATE_TABLE_STAT after I transferred data to NLS to ensure a good query performance. Now I would like to know if statistics really exist or if someone transferred data to NLS but forgot to run the report. For me it is not sufficient to see in SM37 that the job run successfully. I would like to have a traffic light for each DAP with virtual table that displays that statistics are up to date and I can expect that there is no negative impact on query performance when accessing NLS. Since SAP HANA 1.0 SP12 you can monitor the DB Statistics for remote Views (e.g. 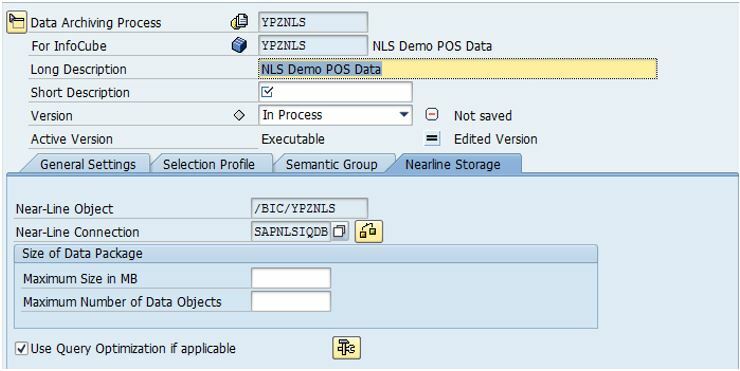 NLS via SAP IQ) via the System View SYS.DATA_STATISTICS. 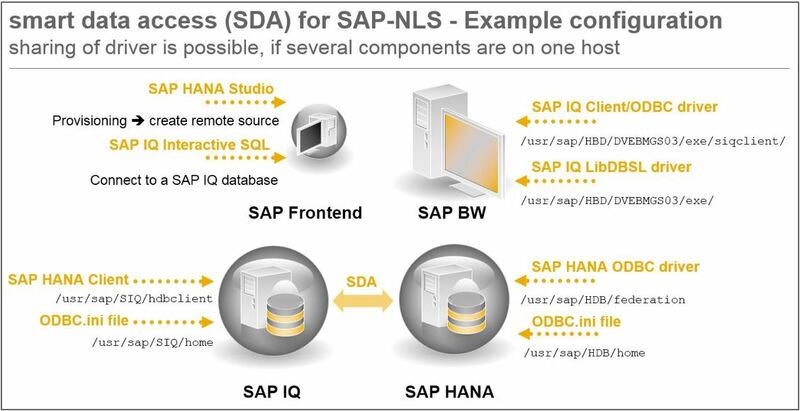 Question: Would it be ok to deploy BW HANA on one cloud provider and its NLS with SAP IQ system on another cloud provider? I’m looking for more that just whether it’s technically possible or supported, will it perform well? who has done this, case studies? pros and cons, issues, pitfalls, anything that can help assess this, whether positive or negative. 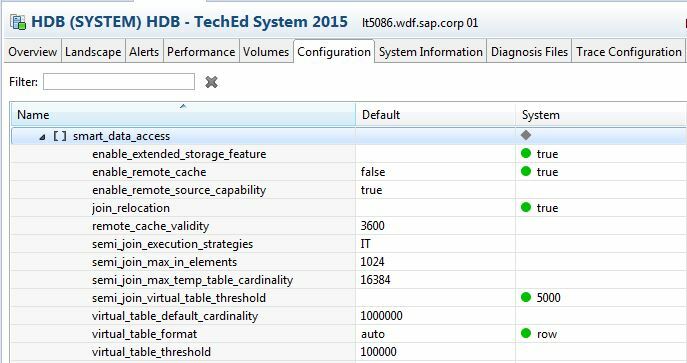 Answer (might not complete): In general is is suitable to have the BW System and the SAP IQ Database close together for performance reason. However running this is different environments, e.g. on-premise and Cloud might be a scenario, but having two different Cloud environments is that really necessary?